I'm often asked what got me started in this "business". This IS a business, but I don't feel like I WORK. My story is deep routed in a need for healing during very difficult times. In December of 2002, my husband and I decided to move back to Whitman (where I grew up) after living in Vermont for nearly 9 years. This was a difficult transition emotionally and financially. In April of 2003, my beloved sister-in-law Suzzanne passed from Non-Hodgkin Lymphoma. Our world came crashing down. She was only 33 years old with 2 young children. My brother-in-law was faced with a nightmare. The loss was unbearable. In late 2004, we lost my Grandmother-in-law "MeMere" who was like my own Grandmother. All the while, still adjusting to the regrettable move back to Whitman. We found ourselves in an emotional, spiritual, and financial mess. I prayed and prayed that I could get through this. God, gave me strength to work through it all. My dear friend had lost her Dad in 2003 and had rosary beads made from his roses. I was inspired and driven. Obsessed, really. Making beads from roses is a centuries-old art. I researched how to make them. I found processes online, tried everything I found, but I didn't like the results. I found that "modern methods" include many fillers and additives that claims of 1 rose will make 59 beads for a rosary... well that just isn't good enough. (I make rosaries with 6 roses.) I tried and failed more than I can remember. I finally gave it up to God. And soon thereafter, I had my "AH HA! Thank you Jesus" moment! It was enough to push me through the roadblock. It was then that I realized I was also healing my heart. The journey of discovery had been multi-healing. I never intended to create a business. I made them just for us. I found great peace (and distraction from the pain) in working with my hands and being creative. I made decade rosaries for my in-laws from MeMere's roses. And as you can imagine... two friends, two friends and two friends later... the rest is history. Those REALLY tough times are some that I would NEVER EVER want to re-live. I am a different person BECAUSE of the pain and heartache. And if I could have my sister-in-law back, I would gladly give this up to have her. It is through the healing and from it peace, that I can care for your roses and create pieces that will help you heal. I've learned a lot about healing through my own journey and from listening to other's stories. There is a common thread to grief and healing. We are all in this together. No one is immune from it. There's the circle of life and then also the circle of LOVE. We find true love, we love a friend, love for family, and the deepest love of a child. Death is part of life, we know this. And as amazing and wonderful as love is, loss is a part of love. The tears and pain are because LOVE is so true and deep. HOW we heal is a learned behavior and not very natural to most. Everyone heals differently and in their own time. I am honored to be a part of your healing journey. I hand roll each bead myself. My process is unique to me and my trade secret. It is my handmade process which I labored over to achieve. I don't let anyone help me with the actual bead making part of the process. It's spiritual and because of my journey, something I will not share. From start to finish, the process is time consuming. From placing an order with payment, it generally takes 3 1/2 to 4 months to complete your beads. But I don't do all this work alone. My loving husband Donald is supportive and my rock. My daughters Alyssa and Nicole help in more ways than they realize. My mother Millie helps me with assembling metal parts and with clients on Saturdays. Our time together is PRECIOUS and such a Blessing. My friend Paige (who I met in College too many years ago) is an Angel. She helps me with assembling metal parts, meeting with clients and returning calls. Her dedication to my work is unmatched. My friends Roberta, Kathy and Rebekah are also my lifelines. I am truly Blessed to be in such amazing company! These days, I no longer regret moving back to Whitman. We miss Vermont life and often go back to visit. But we are Blessed and I feel that we are in exactly the place we should be, doing exactly the work God intended. The Angel Rosebead pendant is my trademark and copyright. I designed it when a sweet young lady, Lindsay Curtin passed on March 2, 2006. She was a Senior at Cardinal Spellman High School (I too am a Spellman graduate). I first made the Angel pendant as my gift to each student of the Senior class among other items they purchased in honor of Lindsay. Lindsay's family has adopted the design, with my blessing and permission, as a symbol of her life. And since then, it has become a symbol of my business. 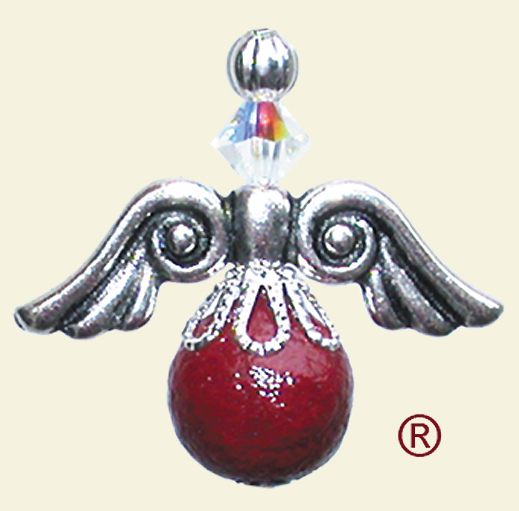 The Angel Rosebead pendant is my most popular item as it represents the Angel in all of our loved ones. The Angel Rosebead pendant is an exclusive design, signature piece, and Legal Registered Trademark and Copyright of Angel Rosebeads. No permission is given to anyone (else) to reproduce this design. PLEASE respect this request. I'm often asked why I don't have pictures of my work on this web site. As you've just read, I take great personal pride in your roses. For me, taking orders online is just too cold and impersonal. Your roses are far too precious to be treated like "mail order" items. I like to conduct business in person and this works for me. 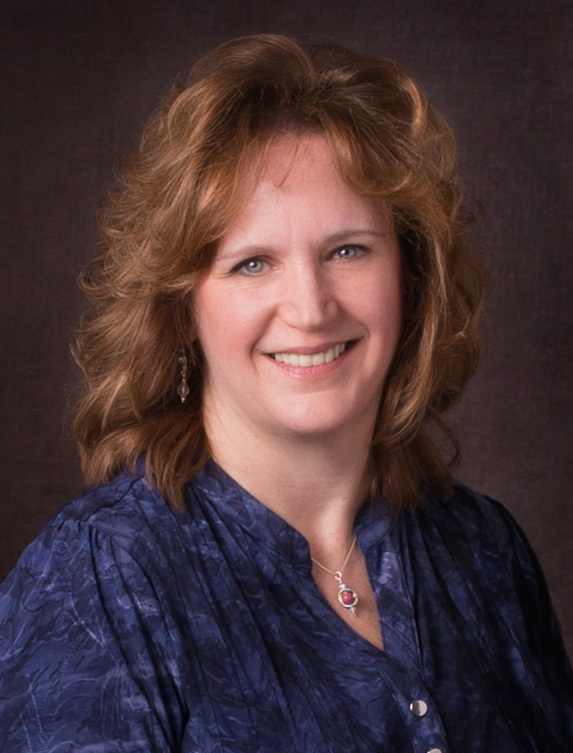 I have a gallery where you will receive personal, one-on-one care. We can take the time you need to touch and see the items I make. Thank you for allowing me to create a special keepsake for you. For further information, please call 781-447-2633.
and LEGAL COPYRIGHT of Dianne Johnson, Angel Rosebeads, Inc.